Why she is influential: The Powhatan County resident heads the U.S. business of one of the largest accounting firms in the world. Doughtie serves on many boards, including the Committee Encouraging Corporate Philanthropy, National Academy Foundation and LUNGevity. The Virginia Tech alumna also is on two advisory boards of the Pamplin College of Business. Doughtie, a certified public accountant, was named to Fortune’s list of Most Powerful Women in Business. KPMG’s U.S. revenue has grown at a compound annual rate of 9.2 percent since Doughtie was named chairman and CEO. She also decided to build a learning, development and innovation facility in Orlando, Fla., for KPMG employees. The project represents an investment of $450 million. Recent developments: Doughtie and KPMG leadership separated six KPMG personnel from the firm for either receiving improper advance warnings of work to be inspected by its regulator, the Public Company Accounting Oversight Board (PCAOB), or being aware of the situation but not reporting it in a timely manner. After uncovering the issue, KPMG took swift and decisive action. The company said it immediately reported the situation to the PCAOB and the U.S. Securities and Exchange Commission, engaged outside legal counsel to conduct a detailed investigation and separated the individuals involved from the firm. In January, federal prosecutors in New York filed conspiracy and wire-fraud charges against five former KPMG personnel and a former government accountant. One of the former KPMG personnel pleaded guilty. Why she is influential: McClements leads the mid-Atlantic practice of PwC, one of the world’s big-four accounting firms, as U.S. companies adapt to federal tax reform. “It’s generally exciting for everyone inside the profession” and their clients, she says. “It’s a chance to step back and say ‘What can I do with this change that hasn’t happened in 30 years?’” She oversees more than 6,000 employees in Washington, D.C., Northern Virginia, Richmond, Baltimore and Philadelphia. A certified public accountant, McClements has been with PwC since 1987. During her tenure as U.S. human-capital leader, she redefined how PwC attracts and develops talent. McClements’ board memberships include the Wolf Trap Foundation for the Performing Arts, Northern Virginia Technology Council and United Way. She lives in Clifton with her husband, Mike, and two children, Matthew, 17, and Erin, 9. McClements is an avid exerciser. “When possible, you’ll find me riding bikes with my daughter,” she says. Recent developments: Last year, Washingtonian named her one of The Most Powerful Women in Washington. In addition, Washington Business Journal named her a top managing partner in the CEO of the Year & C-Suite Awards. Why he is influential: Since starting the bank in his garage nearly 20 years ago, Aston has developed TowneBank into a community-bank powerhouse. It now has the largest market share in deposits in Hampton Roads. Since acquiring Franklin Financial in 2015, TowneBank has been a visible presence in Richmond. Recent developments: In January, TowneBank completed its merger with Raleigh, N.C.-based Paragon Commercial Corp. in a stock deal worth $323.7 million when it was announced in April. Now with about $10.5 billion in total assets, the bank will operate in the Raleigh, Charlotte and Cary, N.C., markets as Paragon Bank, a division of TowneBank. Why he is influential: Since Edelman and his wife, Jean, founded Edelman Financial Services in 1987, the personal financial firm has grown to 600 employees in 43 offices across the U.S., managing $18.5 billion in assets for more than 33,000 clients. Edelman is one of the most recognized people in personal finance. He has written nine books, hosts a weekly radio show and podcast, produces a public television series and conducts seminars around the country. Why he is influential: Fairbank has developed Capital One into the nation’s seventh-largest bank in terms of total assets. The tagline of its credit-card commercials, “What’s in your wallet?” is a national catchphrase. Capital One has been named to Fortune’s “100 Best Companies to Work For,” Working Mother’s “100 Best Companies” and DiversityInc’s “Top 60 Companies for Diversity.” Fairbank was inducted into the Washington Business Hall of Fame in 2008 and was named “2006 Banker of the Year” by American Banker. Recent developments: Capital One has bought a 42,000-square-foot former tobacco warehouse in downtown Richmond that will reopen in March as the 1717 Innovation Center. It will house the business incubator Startup Virginia and the bank’s product research lab. Why she is influential: Still has been with HomeTown since its inception in 2005 and has led the bank since 2008. She is a member of the board of directors of the Federal Reserve Bank of Richmond and the Virginia Bankers Association. Still also serves on the board of the Roanoke Valley Chamber of Commerce and is a former national council member from Virginia on the American Bankers Association Community Bankers Council. Recent developments: In October, Still received the Lifetime Achievement Award from the DePaul Community Resources’ Women of Achievement. In November, she was inducted into the Junior Achievement Southwest Virginia’s Business Hall of Fame. In April, HomeTown was named “Best Bank to Work For” by American Banker Magazine for the second consecutive year. Why he is influential: Owned by the Archer family since 1959, Blue Ridge has 475 employees at locations in Salem, Abingdon, Waynesboro, Lynchburg and South Boston. Archer chairs the governing boards of the Roanoke Valley Development Corp., LewisGale Medical Center and Center for Alcohol Policy. He is treasurer of the Roanoke Higher Education Center board of trustees and also serves on the boards of Radford University and the Virginia War Memorial Foundation. Recent developments: In 2017, his brother, Jim, who was executive vice president and COO, retired, and Archer became chairman and CEO while his sister, Jacqueline, became president and COO. The company is adding more than 50,000 square feet of warehouse and office space to its existing facility in Salem. Why he is influential: Since 2012, Barrington has headed Altria, the largest tobacco company in the U.S., which has been based in Richmond since 2010. Its Philip Morris USA subsidiary makes Marlboros, a brand that dominates the nation’s cigarette market. In addition to leading Altria, Barrington serves on the board of directors of the giant beer company Anheuser-Busch InBev. 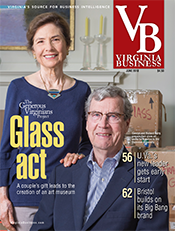 His civic commitments include serving on the Virginia Museum of Fine Arts board of trustees. Recent developments: Altria an­­­nounced in early February that Barrington would retire in May. His successor as chairman and CEO is Howard Willard, the company’s chief operating officer. The company also announced it was giving each of its nonexecutive employees a one-time bonus of $3,000 as a result of new federal corporate tax cuts. Why he is influential: Fairfax County continues to develop and diversify its economy. Last year, the county was home to nine Fortune 500 companies and 132 businesses on the Inc. 5000 list of the nation’s fastest-growing firms. During his tenure, Gordon has seen the total number jobs in Fairfax grow from 243,000 to more than 600,000. He is a member of the Northern Virginia Council of GO Virginia and the Virginia Chamber of Commerce board of directors. Gordon also chairs the advisory board for George Mason University’s Honors College. Recent developments: Last year, the Transportation Security Administration and Amazon Web Services announced deals that are expected to add almost 5,000 jobs to the local economy. Gordon’s 13th book is scheduled for release next year. Why he is influential: Rizer is the architect behind Loudoun County’s rise to the pinnacle of America’s data-center market. For more than a decade, he traveled the country touting Loudoun’s bountiful land, affordable electricity and fiber-rich internet infrastructure, initially put in place in the 1990s when major tech companies such as America Online invested in miles of fiber. Today, Loudoun is the country’s No. 1 data-center market. Digital Realty Trust, Equinix and Amazon Web Services all have built massive facilities there. Rizer was named one of North America’s Top 50 Economic Developers for 2017 by Consultant Connect. 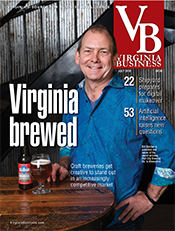 He serves on the board of the Northern Virginia Technology Council. An Eagle Scout, Rizer remains active in scouting as an assistant scoutmaster and merit badge counselor. 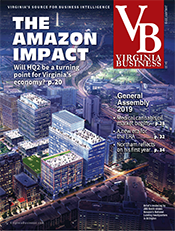 Recent developments: If online retailing giant Amazon selects Northern Virginia as the destination for its $5 billion second corporate headquarters, Rizer will have a huge feather in his cap. 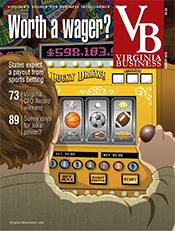 Out of 238 contenders, Northern Virginia made the initial cut of 20 cities. Loudoun and Fairfax counties collaborated in submitting one of the region’s four sites, not far from Loudoun’s famed “Data Center Alley.” “It will be more than fitting for an international e-commerce corporation of Amazon’s stature to locate its second headquarters here,” says the ever-confident Rizer. Why he is influential: Wynne last year was inducted into the Cable Hall of Fame in recognition of his work developing The Weather Channel. He is chairman of the board of Reinvent Hampton Roads and also chair of GO Virginia, an economic development initiative focused on the needs of each region in the commonwealth. GO Virginia likely will distribute $20 million in grants by this summer. Wynne also is a board member of the Virginia Economic Development Partnership and the Virginia Research Investment Committee. 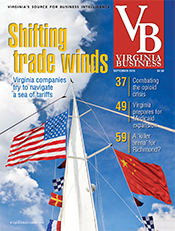 Recent developments: Wynne’s role in GO Virginia has led to his involvement with various economic development projects. He is working on an enhanced economic development plan for the Port of Virginia and a broadband strategy for the commonwealth. Wynne also is involved in a cybersecurity initiative aimed at addressing the state’s skills gap in that field. 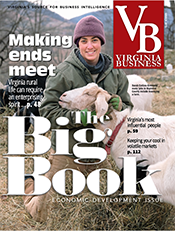 Why he is influential: Davenport continues to be a statewide voice for economic development in rural Virginia. He is vice chairman of the board of GO Virginia, a state-funded initiative that fosters regional collaboration for new projects. He also serves on the boards of Mid-Atlantic Broadband Communities Corp., the Virginia Chamber of Commerce, the Virginia Tech Carilion Medical School and the Institute for Advanced Learning and Research in Danville. Recent developments: Davenport participated in then-Gov. Terry McAuliffe’s Summit on Rural Prosperity last fall at Berry Hill Resort & Conference Center in South Boston. He and his wife also continue to support early childhood development projects. Why he is influential: From serving on boards such as the Colonial Williamsburg Foundation and the Virginia Museum of Fine Arts to heading the state’s largest utility, Farrell’s influence is wide ranging and frequently the stuff of headlines. Dominion got the green light in October to build the controversial 600-mile Atlantic Coast Pipeline. It’s also building a new 20-story downtown headquarters. Yet the state’s largest corporate political donor is seeing pushback on several fronts. A growing number of legislators say they will refuse donations from Dominion. Recent developments: In January, Farrell led the company’s plans for a $14.6 billion all-stock merger deal with SCANA, a South Carolina-based company that found itself in financial trouble following a failed nuclear power project. Why he is influential: Bush leads one of Virginia’s largest public companies and one of the country’s biggest defense contractors. 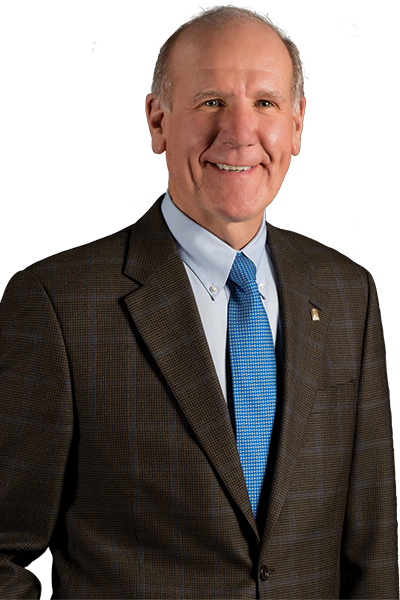 He serves on the board of Norfolk Southern Corp. and several industry boards, including the Aerospace Industries Association and the Business-Higher Education Forum. Recent developments: In September, Northrop Grumman announced it had reached an agreement to acquire Dulles-based aerospace and defense technology company Orbital ATK for $7.8 billion in cash and the assumption of $1.4 billion in debt. The deal, still undergoing regulatory approvals, would create a company with $29.5 billion to $30 billion in annual revenue and a total of 80,000 employees. Northrop Grumman’s 2017 revenues were $25.8 billion, a 5.3 percent increase from the previous year. Why he is influential: Moraco has led the information technology contractor since its spinoff in 2013 from the company now called Leidos. Moraco serves on the boards of the Northern Virginia Technology Council and the Intelligence and National Security Alliance. Recent developments: Last year SAIC consolidated its Washington, D.C.-area operations into a new headquarters space in Reston. The company also was selected by Virginia to become the multisourcing service integrator (MSI) for the Virginia Information Technologies Agency as it transitions Virginia’s IT system from a single-source provider to multiple vendors. The initial contract is worth $165 million and could be worth $272 million if all options are exercised. 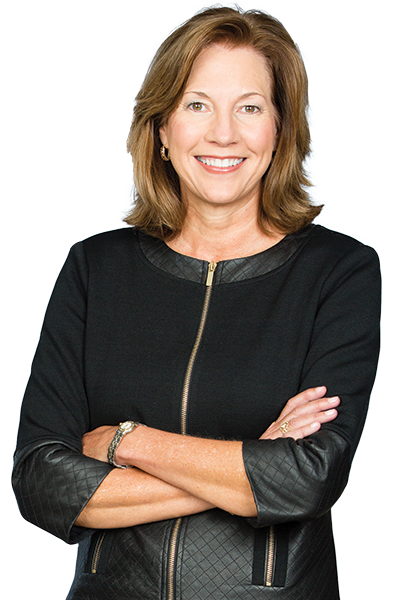 Why she’s influential: Novakovic has led Virginia’s largest defense contractor since 2013. In 2017, Fortune magazine named her ninth on its list of the Most Powerful Women in Business. Recent developments: The company reported 2017 revenues of $31 billion, which included growth across all of its business units. In May last year, General Dynamics announced it had purchased the cyber products division of Phoenix-based Advatech Pacific Inc. The company also won a $5.1 billion contract to design and prototype the development of the lead Columbia-class submarine. In February, the company announced it had reached an agreement to purchase internet technology company CSRA for almost $7 billion. Why he is influential: Petters leads HII, the only builder of the U.S. Navy’s nuclear-powered aircraft carriers and one of two companies that builds its submarines. The company’s Newport News Shipbuilding is the commonwealth’s largest industrial employer. Recent developments: HII delivered several new ships to the U.S. Navy, including aircraft carrier Gerald R. Ford. The company also returned the USS Abraham Lincoln, another aircraft carrier, after a complex refueling and overhaul. The company was added to the S&P 500 recently. Petters and his wife, Nancy, were awarded the 2017 Distinguished Citizen Award by the Virginia Peninsula Chamber for their education advocacy. Recent developments: Optima Health is one of six health insurers participating in a program designed to coordinate care for Medicaid patients with complex medical needs. Optima is hiring 400 employees to serve an estimated 40,000 enrollees across the state. Sentara also will begin construction later this year on a $92 million cancer center on the Sentara Leigh Hospital campus in Norfok. The project is expected to be completed in 2020. In addition, Sentara is enhancing its mobile-digital, telehealth platform to enable patients in rural areas to consult physicians using smartphones or tablets. Why she is influential: She heads the largest private employer west of Richmond with 12,800 employees, including nearly 700 physicians in more than 75 specialties. Carilion operates 209 sites of care, including seven hospitals, in Southwest Virginia. It also is a partner with Virginia Tech in a medical school and research institute. A member of many regional and state boards, Agee is chair of the board of trustees of the American Hospital Association. Recent developments: In January, the Carilion-owned Jefferson College of Health Sciences in Roanoke announced plans to merge with Radford University. The Roanoke-based health-sciences school, which has about 1,150 students and 70 full-time faculty members, offers 25 degree options on the graduate, bachelor and associate levels, as well as certificate and professional and continuing education programs. Why he is influential: Fralin is a member and past chairman of the Virginia Business Higher Education Council. He serves on the boards of the Virginia Western Community College Foundation, Taubman Museum of Art, GO Virginia and Virginia Research Investment Committee, which provides research funding to universities in the commonwealth. Recent developments: Fralin is chairman of the State Council of Higher Education for Virginia. He also is helping to promote Roanoke’s new Health Sciences & Technology Innovation District. Why he is influential: A neuroscientist, Friedlander is the founding director of the institute, which is home to 25 research teams. He expects to recruit researchers for another 25 teams with the institute’s expansion. Recent developments: In October, Friedlander joined then-Gov. Terry McAuliffe, Roanoke Mayor Sherman Lea, state legislators and officials from Virginia Tech and Carilion Clinic at the official groundbreaking for the Virginia Tech Carilion Biomedical Research Expansion. The 139,000-square-foot building will provide additional laboratories for the research institute. Why he is influential: Valley Health System has six hospitals, four in Virginia and two in West Virginia. Merrill will become chair of the Virginia Hospital and Healthcare Association in April. He serves on the Winchester health board and has completed three terms each on the boards of the United Way of Northern Shenandoah Valley and UNC School of Public Health Foundation. Recent developments: Valley Health has opened a number of urgent-care and quick-care centers in its service areas. Winchester Medical Center (WMC) has completed a new cancer center, and Shenandoah Memorial Hospital has opened a new emergency department and medical building. WMC and Warren Memorial Hospital were among 41 Virginia facilities given “A” safety ratings by the Leapfrog Hospital Survey, and the Winchester hospital earned a top score in heart surgery from the Society of Thoracic Surgery. Why he is influential: Singleton spearheaded an Inova partnership with Shenandoah University designed to educate health-care professionals with backgrounds in population health, pharmacogenomics and other new technologies. He also led the creation of Simplicity Health, a group of primary-care clinics serving high-need communities. In addition, Singleton was instrumental in starting Inova Strategic Investments, which will invest in ventures specializing in health-care-related technologies. Recent developments: Inova has begun the Inova Personalized Health Accelerator, a free educational program for first-time, health-care technology entrepreneurs. In addition, Singleton has announced he will retire in July after leading Inova for 35 years. Why he is influential: Since July 2015, Stottlemyer has led the Inova Center for Personalized Health (ICPH), Inova Health System’s ambitious plan to create an internationally prominent center for genomic research and personalized medicine. ICPH is located on the 117-acre former Exxon-Mobil corporate campus across from Inova Fairfax Hospital. Stottlemyer also is the rector of the board of visitors at the College of William & Mary, his alma mater, and serves on GO Virginia’s state board. He was co-chair of Gov. Ralph Northam’s transition committee. Recent developments: Transformation of the 1.2 million-square-foot former Exxon-Mobil building into the ICPH facility is in full swing. “By the middle of next year, the current construction should be done,” says Stottlemyer. Already open are the education wing, which houses several programs in partnership with Shenandoah University, and the technology center, which includes the Inova Personalized Health Accelerator, a program for early-stage personalized health companies. Construction continues on the $92.3 million Schar Cancer Institute and the Global Genome and Bioinformatics Research Institute, which involves partnerships with many of Virginia’s public universities. While transformation of existing space continues, Inova already is making plans for the future build-out of its campus. ICPH has filed a comprehensive plan amendment and zoning request with Fairfax County to allow it to develop more of the property than current zoning allows. Why he is influential: Amin has developed his family’s business into one of the largest hotel owners in Virginia with more than 50 properties and 2,300 employees. He’s also heavily involved in the community, serving on the boards of half a dozen organizations. 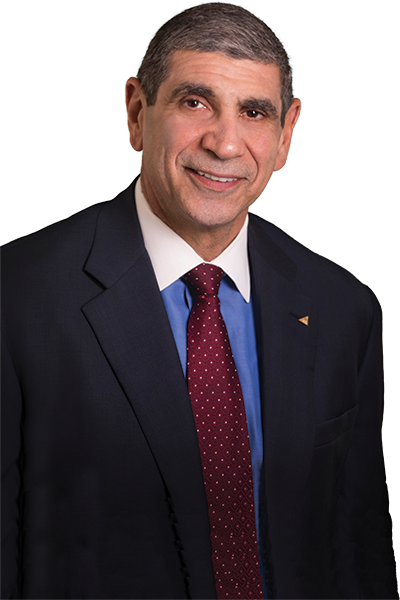 Amin is chairman of the board of Richmond Region Tourism and the commonwealth’s Treasury Board. Shamin also made headlines this winter when it housed at one of its hotels families who were living with broken heating systems in a Richmond public housing complex. Recent developments: The company has eight projects under development in Virginia, including the state’s first Moxy, a hotel catering to millennial travelers. It is expected to open next year. Why he is influential: A CCA subsidiary, Riverstone Group LLC, owns several high-end hotels and resorts, including The Jefferson Hotel in Richmond; the Sea Pines Resort in Hilton Head, S.C., and the Kiawah Island Golf Resort in South Carolina. Goodwin and his wife, Alice, also are major philanthropists in Virginia, with many of their donations focused on cancer research. Alice continues to serve on the board of The Virginia Home, a facility that provides care to adults with permanent disabilities. Recent developments: Goodwin stepped down in June as rector of the University of Virginia board of trustees. He was co-chair of a search committee that identified James E. Ryan, dean of the Harvard Graduate School of Education, as the next president of U.Va. Goodwin also chairs the Richmond regional council of GO Virginia. Why she is influential: Johnson leads a growing hospitality management firm, Salamander Hotels & Resorts. The company operates six properties, including the 340-acre Salamander Resort & Spa in her hometown of Middleburg. Johnson also is the mastermind behind the Middleburg Film Festival, which celebrated its fifth year last fall. She is an owner of the Washington Wizards, Capitals and Mystics and co-founder of WE Capital, a venture capital consortium supporting female-led startups that make a social impact. Recent developments: Salamander Hotels opened NOPSI Hotel in New Orleans last July. The company’s Hotel Bennett in Charleston is scheduled to debut this summer. Why he is influential: Since becoming CEO in 2014, Knight has continued to develop the company founded by his father, Glade. Apple Hospitality REIT owns one of the nation’s largest portfolios of upscale hotels. The company now boasts 241 properties, including six that were acquired last year. 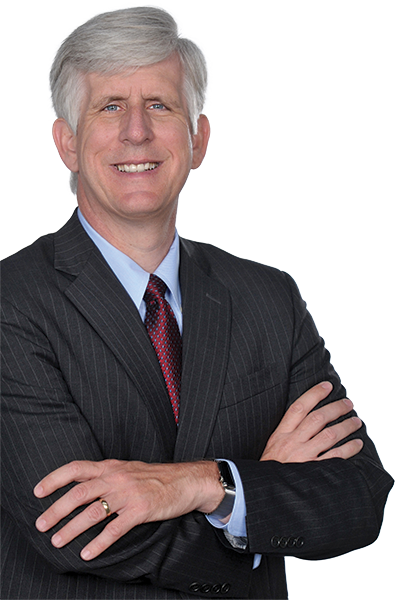 Knight serves as co-chair of the American Hotel and Lodging Association Owners Council. In Virginia, he’s on the boards of Southern Virginia University (where his father is founding chairman), The Valentine and Venture Richmond. Recent developments: Knight was injured in a plane accident last July but returned to work shortly after. “Justin is doing very well,” a company spokesperson said when asked about his recovery. Why he is influential: Nassetta continues to develop Hilton, which he’s led for more than a decade. Last year the company opened more than a hotel per day. There now are more than 5,200 Hilton properties around the globe, and the company is developing 2,200 more hotels. Last year, Nassetta was inducted into Washingtonian’s Washington Business Hall of Fame and was ranked as one of Glassdoor’s Highest Rated CEOs. The company also is ranked No. 33 on Fortune’s latest list of Best Companies to Work For. Recent developments: Hilton recently unveiled a 4,300-square-foot Innovation Gallery next to its headquarters to test products and innovations for its hotels. Why she is influential: Nyholm has transformed an abandoned racetrack into a 1,370-acre motorsport resort, which draws 400,000 visitors each year. VIR and its adjacent business park also provide employment for 400 workers. Nyholm is president of the Road Racing Industry Council and sits on the boards of the Institute for Advanced Learning and Research and the Virginia Chamber of Commerce. Recent developments: The reopening of the historic Cavalier Hotel in Virginia Beach is set for March 7. If Thompson wraps up this much-delayed and anticipated project, he will be the toast of Hampton Roads. Why he is influential: Thompson is the founder and leader of one of the nation’s largest black-owned enterprises. His company ranked No. 8 on Black Enterprise’s most recent list. The company recorded $650 million in revenue last year and employs 3,800 people. Recent developments: Thompson Hospitality’s new business unit, Pheast Food Group, opened four restaurants last year — Hen Quarter in Washington, D.C.; Alexandria and Silver Spring, Md. ; and Hen Penny in Reston. Pheast also plans to open restaurants in Washington and New York, including Neapolitan Express Pizza, Hen Penny and Chick-fil-A. 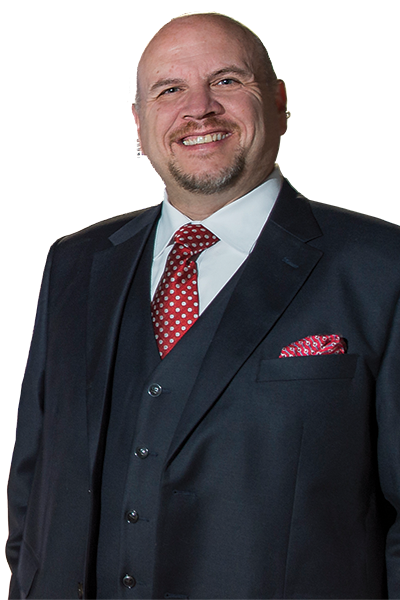 Why he is influential: Cullen is a Richmond lawyer with a global clientele. He advises Vice President Mike Pence on inquiries related to the investigation of Russian meddling in the 2016 election. He also represents Fred and Cindy Warmbier, an Ohio couple whose son died after being imprisoned in North Korea. At home, he serves on the board of Needle’s Eye Ministries, an interdenominational nonprofit organization, and the Richmond-area board of GO Virginia. Why he is influential: Dyke is involved in several state initiatives. He serves on the GO Virginia board and its executive committee. Dyke also is chair of the Virginia Chamber of Commerce’s K-12 committee and is part of the Virginia Research Investment Committee, focused on the commercialization of university research. Every Virginia governor since Chuck Robb has appointed him to a state board or commission. That includes a stint as secretary of education under then-Gov. L. Douglas Wilder. Recent developments: Dyke is working with the newly formed MetroNow Coalition, a group of business leaders focused on reforming the Washington, D.C., mass-transit system. Why he is influential: Mastracco is heavily involved in business and community organizations. He is on the executive committees of the Hampton Roads Business Roundtable and the Hampton Roads Community Foundation and serves on the boards of the Eastern Virginia Medical School and the Sentara Foundation. As a lawyer, he has advised clients involved in some of Hampton Roads’ biggest deals, including the opening of ADP’s 1,800-employee Norfolk service center. 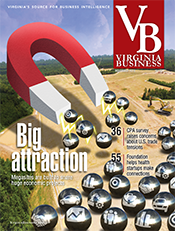 Recent developments: In July, Mastracco became chair of the recently reorganized board of the Virginia Economic Development Partnership. He also is working with Hampton Roads localities to identify sites for “mega-developments,” such as corporate headquarters and advanced-manufacturing plants. Why he is influential: Bland, a major Burger King franchisee, is a former chairman of the State Council of Higher Education for Virginia and has served on many national, state and regional boards. He currently serves on the boards of the Hampton Roads Community Foundation, Sentara Healthcare, Sentara Foundation, Virginia Chamber of Commerce and Randolph-Macon College. He also is board treasurer of Elevate Early Education and president and chairman of Healthy Neighborhood Enterprises. Recent developments. On Jan. 15 (Martin Luther King Day), Bland became the president and CEO of the Hampton Roads Chapter of the Urban League, with the aim of revitalizing the regional organization, which once was one of the largest in the country. African-Americans represent a third of Hampton Roads’ population. Why he is influential: Since 2001, Smith has been CEO of Food City Stores, which his father founded in 1955 as a single grocery store in Grundy. The grocery chain now has 16,000 employees and 132 stores in Southwest Virginia, Southeast Kentucky, East Tennessee and North Georgia. The company offers an employee stock ownership plan (ESOP) to its employees, which is part of their retirement package. “It helps with employee retention,” says Smith. “We’re proud that associates who have spent most of their careers here can retire with six-figures in their ESOP.” Smith serves on the GO Virginia state board and is a member of the board of directors at the Food Marketing Institute. Recent developments: Construction has begun on what will become one of the company’s flagship stores in The Meadows development in Abingdon. The 62,000-square-foot store will feature a food court, a Starbucks coffee bar, an ex­­panded meat and sushi department, and a community room that can be leased to nonprofit organizations. The store will anchor the 70-acre commercial center that also will include space for hotels, restaurants and other businesses. Food City’s Paramount Realty is the project’s developer. The plans include donating 40 acres to Abingdon to build a sports complex. Last year, Food City donated a 39,000-square-foot building that was part of its former headquarters to the Barter Theatre, which will use it as a scene shop and costume design facility. Why he is influential: Breeden’s company continues to expand in the multifamily sector, adding housing and jobs throughout Virginia. It has 1,000 apartment units under construction and another 1,350 units in the pipeline. Projects include the Village of Westlake, a 252-unit project in Richmond, and Allure at Jefferson, an $85.5 million project that will be built in two phases in Fredericksburg. Breeden has been a longtime donor to the SPCA, and he currently serves on the boards of the Virginia Beach Education Foundation and the Virginia Symphony Orchestra. Recent developments: His company recently acquired a 480-unit property, Reflections at Virginia Beach, for $67 million. Why he is influential: Clemente is a Northern Virginia developer who has been a force behind many projects and more recently a lightning rod in the reform of the state’s business recruitment agency. Clemente just wrapped up a three-year term on the board of the Virginia Economic Development Partnership, including a year as its chairman. On his watch, the agency underwent major reform, including a structural shakeup and the hiring of a new CEO, Stephen Moret. 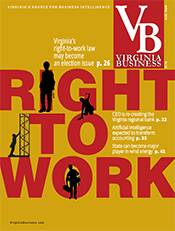 Another reform is a state law that gives Virginia greater enforcement power over clawback provisions for companies that receive financial incentives but then fail to deliver on new projects or jobs. Clemente also is the former rector of George Mason University. Recent developments: He’s proposing an affordable housing project at Tysons. Clemente wants to build a 1,400-unit multifamily apartment community near the Spring Hill Metro Station where all units would be priced for workforce housing. “A secretary who works at Tysons can’t afford to live there,” he says. Clemente is willing to develop the project if the county waives proffer fees of about $35 million. It would be part of a larger $1.3 billion, mixed-use project known as The View at Tysons. Why he is influential: Cronk continues to head one of the largest commercial real estate firms in the Roanoke region. Poe & Cronk celebrated its 30th anniversary in 2017 and landed enough new business to prompt a 20 percent increase in staff. 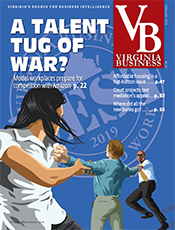 One of the firm’s big deals involves management of the Virginia Tech Foundation’s 305,000-square-foot, mixed-use portfolio in Blacksburg. Recent developments: This is Poe & Cronk’s third year serving as lead sponsor and partner with the Roanoke Valley Gives program. It focuses on a 24-hour online giving event that raises support for more than 150 local nonprofits. To date, Cronk says, the program has raised more than $1 million. Why he is influential: Haddad leads a real estate investment trust (REIT) that is shaping development in Hampton Roads and the mid-Atlantic. Its portfolio includes office, retail, multifamily and student housing. The firm’s many public/private projects include the Virginia Beach Town Center, a collaboration with the city that today offers more than a million square feet of shops, restaurants, office space and apartments. Armada’s involvement in development, construction and asset management makes it different. “REITs are typically one-trick ponies,” says Haddad. “There are very few REITS in the development business; there are none that are in the construction business. 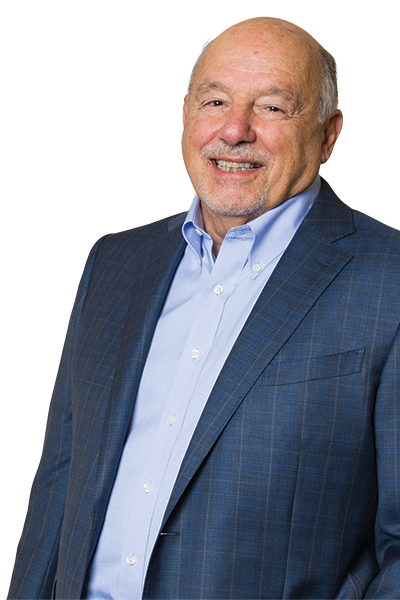 Effectively, we are a manufacturer of real estate as opposed to simply an acquirer, which is what most REITs do.” Haddad joined Armada Hoffler Construction Co. in 1985 as an on-site construction superintendent. Two years later, at age 28, he became the unit’s president. By 1999, Haddad had become CEO of Armada Hoffler Holding Co. In 2013, he steered Armada through an initial public offering that raised more than $200 million. Since then, the company’s market cap has nearly tripled to $1 billion. Recent developments: Haddad, whose grandparents immigrated to the U.S. from Syria, says he has led a fortunate life. To give back, he and his wife, Mary, created a foundation that has donated more than a half million dollars to programs supporting disadvantaged and at-risk children. A recent foundation project resulted in a technology lab for an elementary school in Chesapeake. Why he is influential: Johnson is the developer behind The Pinnacle, a regional shopping venue in Bristol, Tenn., that attracted more than 6 million visitors last year. It is home to more than 70 stores and restaurants. The Pinnacle already is one of the area’s largest employers with more than 1,700 workers, and there’s more development on the way. Johnson plans to develop 300 acres adjacent to The Pinnacle on the Bristol, Va., side of the state line into a sports and entertainment complex. Recent developments: Johnson attended the unveiling last fall of a renovated team room for Virginia Tech’s football team. Johnson, who donated money for the renovation, is a Tech alumnus who played on the school’s football team in the 1980s. 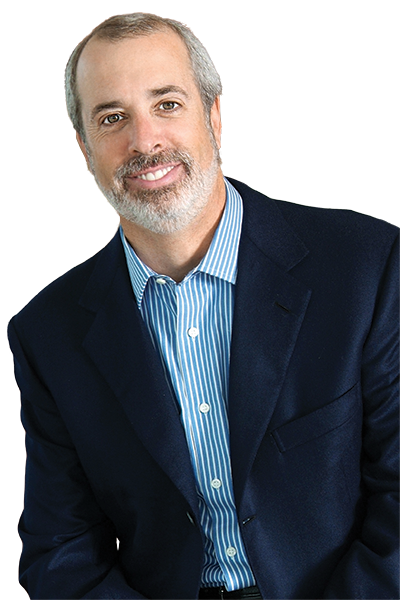 Why he is influential: Kettler heads one of the country’s largest multifamily development companies. He parlayed that housing expertise in a private bid for a big fish: Amazon’s second corporate headquarters. Recent developments: Kettler and a partner, The Meridian Group, pitched The Boro, a mixed-use project they are developing at Tysons, as the site for Amazon’s project, but Amazon announced later that it would not consider bids from private developers. Northern Virginia is on the short list of 20 metro regions still in the running for the $5 billion headquarters, which would employ thousands of workers. Kettler celebrated its 40th anniversary in 2017, with more than 18,000 apartment units developed or renovated and over 30,000 units under management. The company is most active in the mid-Atlantic region, especially in the McLean, Reston Town Center and Tysons areas of Northern Virginia. 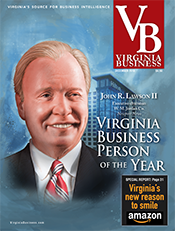 Why he is influential: Lawson’s construction firm, which did $500 million in revenue last year, is behind some of the most significant projects in Virginia. Lawson says he’s especially excited about the March 7 reopening of the Cavalier Hotel in Virginia Beach. “There is really nothing old and historic” in Virginia Beach, he notes. So the renovation of the 91-year-old hotel that hosted presidents and movie stars is generating buzz. Lawson and his partners are investing about $300 million in the Cavalier project, which also will include the opening of two other oceanfront hotels. Lawson also is busy with a transition plan under which he will become chairman later this year, paving the way for a new company president. Recent developments: Lawson continues to serve on community boards and the board of the Myers-Lawson School of Construction at Virginia Tech. He and a fraternity brother helped fund the school 10 years ago. During the next four years, the school will add two buildings and double the number of faculty and students, Lawson says. Why he is influential: Peterson is a key player in a family-owned company that’s been a major developer in Northern Virginia for decades. These days, the company’s geographic footprint is expanding. Peterson entered the Richmond market last year with the construction of Nuckols Place shopping center in Henrico County. The project brought another first to Richmond: a Publix Super Market. Peterson has been active at George Mason University where he currently serves as vice rector of the board of visitors. Recent developments: Peterson Cos. is an investor and partner in a National Geographic’s Ocean Odyssey virtual entertainment venue that opened in Times Square last fall. Why he is influential: French this year will celebrate his 30th an­­­­niversary as Shentel’s president. During that time, Shentel has been transformed. Once a small local telephone company, it now is the sixth-largest publicly traded wireless telephone provider in the country. 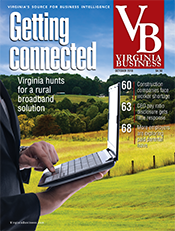 The company has moved beyond its Shenandoah Valley roots to offer broadband, mobile, cable TV, voice and fiber services to customers in Pennsylvania, West Virginia and Maryland as well as Virginia. Recent developments: Following its acquisition of nTelos, a Waynesboro-based wireless company, Shentel completed the integration of two systems and migration of former nTe­­­­­­los customers to its network ahead of schedule and under budget. Shentel also invested $150 million in enhancing and expanding its wireless and broadband networks. 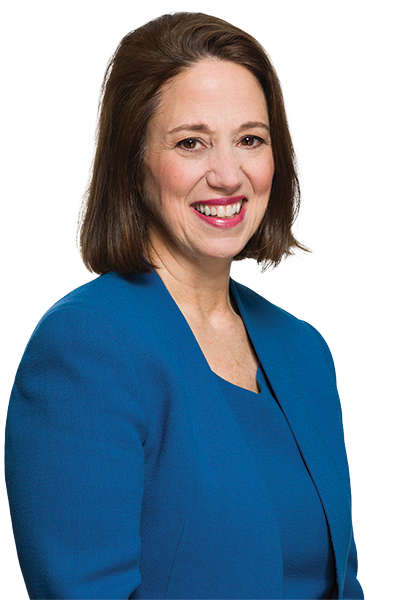 Why she is influential: Kilberg, who has led NVTC for 19 years, serves on the board of Reston-based Appian, the only technology IPO in the region last year. She serves on the Northern Virginia Regional Council of GO Virginia and is working with NVTC member companies to advise U.S. Sen. Mark Warner on ways to fix major delays in the federal security-clearance process. Recent developments: Last year, Kilberg was named to Washington Business Journal’s Power 100 list and Washingtonian magazine’s 100 Tech Titans of Washington. Why he is influential: Reinhart leads the third-busiest port on the East Coast. Under his guidance, the port handled record volumes of cargo in 2017 while almost $700 million in capacity improvements are ongoing at its two largest terminals. Recent developments: In late 2017, the U.S. Army Corps of Engineers recommended deepening the Norfolk channel to 55 feet and widening portions of the channel. The deepening project is seen as vital for the port’s future as it recently began handling the next-generation size of container ships. Two big transportation projects also were completed: the expanded truck gate at Norfolk International Terminals (NIT) and the Interstate 564 Intermodal Connector that provides a direct link between the highway and NIT’s new gate. Why he is influential: Squires leads Norfolk Southern, which moves more than 7 million carloads of coal, automotive, agricultural and industrial products each year. The company has 27,000 employees, and its railroads run 19,500 miles in 22 states. The railroad serves every container port on the U.S. East Coast, including the Port of Virginia. 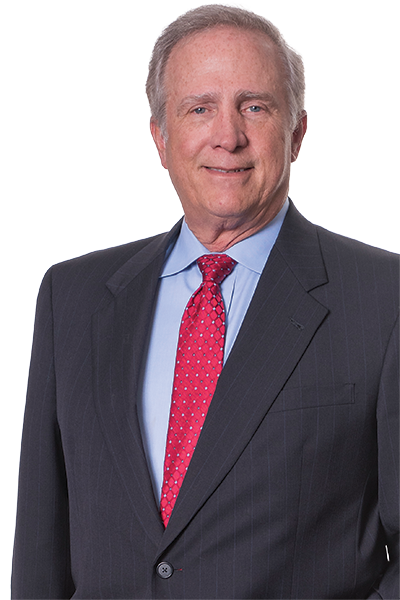 Squires serves on the board of the Hampton Roads Community Foundation. Recent developments: The company has benefited from a resurgence in the U.S. coal export market. For 2017, the railway’s operating revenues were up to $10.6 billion, a 7 percent increase over 2016. Volumes were up 5 percent, which marked increases in coal and intermodal categories. Why he is influential: Case co-founded America Online in 1985 and in 2000 negotiated its merger with Time Warner. He co-founded Revolution LLC, a Washington, D.C.-based investment firm, in 2005. Case also serves as the vice chair of the Smithsonian Institution board of regents. Last year, he published the best-seller “The Third Wave: An Entrepreneur’s Vision of the Future.” Case and his wife, Jean, own Early Mountain Vineyards in Madison County. Since 2014, he has sponsored the Rise of the Rest bus tour, which spotlights promising entrepreneurs throughout the country. The tour has visited 33 cities so far. Recent developments: Case launched Revolution’s Rise of the Rest Fund, a $150 million fund that will invest in early-stage startups not based in the tech hubs such as Silicon Valley, New York City and Boston. An extension of the bus tour, the fund is backed by a group of well-known entrepreneurs, executives and investors.